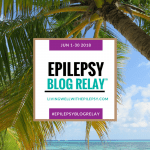 This post is part of the Epilepsy Blog Relay™ which will run from June 1 through to the 30th. Follow along and add comments to posts that inspire you! Let’s get real, having a condition can make you feel bad, physically or emotionally, and sometimes both. I take three lots of Epilepsy medications, which come with three different types of side effects. It’s easy to feel down. Epilepsy can restrict you from things you were once able to do, or things you wish you could do but can’t. For example, I have never learned to drive because I was diagnosed before I even thought about driving. I have almost reached the seizure free mark to be able to start lessons, but not quite made it each time. It gets you down and that is OK, because we are all effected differently, but we need to keep going. A few months ago my Auntie kindly bought me the Epilepsy SmartWatch by Epilepsy Solutions*. This is not a paid article, and I have not been asked to write about this. I have tried bed alarms and fall alarms, but the watch is something else. I feel so much more confident since getting it, and my family are at ease a lot more. The watch is discreet and it doesn’t shout out ‘I have a medical condition’ which some people don’t like when it comes to medical jewellery. I don’t live with my parents anymore, two years ago I moved out and it was a big deal. My seizures are unpredictable, I can be controlled for months and months and then they start up again for long periods of time. The fear for my family was-Will I wake up if I have a seizure and Dan isn’t around, how will they know if I have had one? For over a year I have been texting my Mum in the morning as soon as I wake up, throughout the day and then last thing at night. I’m lucky in the sense that I know if I am going to have a seizure, and I normally have enough of a warning for me to text or call for help. After having three hospital admissions in the space of a few months, I got the watch. You pay a monthly fee much like a phone contract-and when you feel unwell you press the help icon and it texts your selected contacts, and if it detects convulsions it will also send an emergency text. 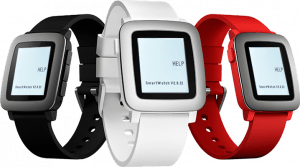 I wrote about the smart watch in the March blog relay 2016 but never thought I would be able to have one. It has saved my life. I had a seizure a few weeks ago and without the watch my family would have not known, and I was very unwell. For one in three patients, seizures remain uncontrolled because no available treatment works for them. These are the great challenges we continue to tackle. Breakthrough science and technology can help unlock better ways to care for and treat patients living with epilepsy. Whether it is helping find a therapy that works for an individual patient or finding new ways to treat the root cause of condition, we together can unlock the science and find new ways to improve the lives of patients. Having wearable technology or bed alarms wont fix your seizures, but it can make living with them a lot more bearable. Alongside the smart watch, I have downloaded EpSMon: Epilepsy Self-Monitoring app on my mobile. Again this is not a paid article. I met Simon Lees, a Trustee of SUDEP Action, who told me about the app himself. Simons brother, John, was diagnosed with epilepsy at university and sadly died from SUDEP in 1995. He was 41. Simon was 26 when he was then diagnosed with epilepsy. The award-winning app EpSMon can help you self-monitor in between your visits to doctors. • and which have stayed the same with your epilepsy, mood and other associated conditions. Technology is amazing, and by having simply two things-the watch, and an app, I have been able to manage things a lot easier. It’s still hard, but it’s getting better. After everything that comes with Epilepsy, we need to remember that each one of us is one of a kind. When we cherish our eccentricities, and celebrate our flaws, we begin to develop a deep love for ourselves just as we are. Instead of focusing on all the things wrong with us, self-celebration enables us to derive deep satisfaction from being uniquely us. Practice self-celebration by enjoying your awkward laugh or poking fun at your inability to remember people’s names. *Living Well With Epilepsy, and our writers, did not receive any compensation or product from Epilepsy Solutions or their affiliates. NEXT UP: Be sure to check out the next post by Soo at https://soosepilepsycorner.blogspot.com/. 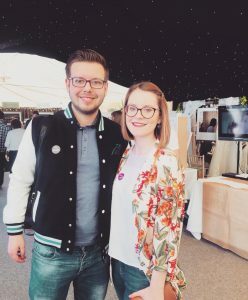 Emily's Perspective is a snapshot of what life is like for a young woman living with Epilepsy and seizures. I was diagnosed with Epilepsy during my last year of primary school in 2006. It has been a challenge but it's made me who I am. Based in UK.